IT'S a despicable act committed during Christmas season and staff at the While Lion Hotel in Maryborough want to name and shame the perpetrators who took a donation box meant for disabled children. Duty manager Peter Hogan said the incident happened late on Monday afternoon at 6.30pm when it was quiet. "I was the only one manning the counter when two people came and asked for a carton of beer which I then went in to the cold room to get," he said. "By the time I came back, they were gone and so was the donation tin." 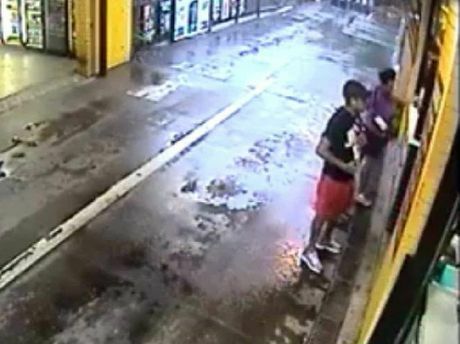 Acting Sergeant at Maryborough police station Marshal Hoggard said police were investigating the matter after viewing footage from the CCTV camera. "From the footage, we have established the culprits as a male and female of indigenous appearance," he said. "The male is believed to be in his late 20s. "We will soon talk to people who may be able to assist us. Sgt Hoggard said the act of stealing donation tin was pretty rare. If anyone has any information, they can phone the Maryborough police station on 4123 8111. Police investigating robbery ask: recognise these cars?